Since I started planning for my workshop on pound cakes, I've been searching around for good pound cakes to try them out. Somehow, I derived a sense of satisfaction when my pound cakes turned out to be crusty and fragrant. I found that simplest cake like this can really satisfy a craving for cakes. 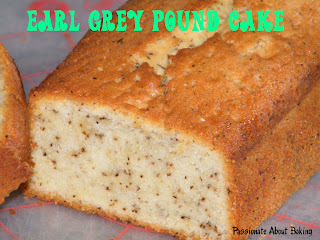 Since I saw the Earl Grey Pound Cake from Crummb, I've been wanting to try it. Unfortunately, there wasn't any recipe available. Then, as if Universe knows what I want, Ju made this Earl Grey Pound Cake and shares her recipe! Isn't that great? So I used her recipe and made two mini loaves: one for my family consumption and the other, I gave it to my boss for his birthday. After baking, I left it on the rack to cool. Even before it was thoroughly cooled, I took out one loaf and slice it. My elder son has quite a sharp nose. When he smell the pound cake, he said there was a scent of tea leaves. I was pleasantly surprised and told him it was an earl grey pound cake. Then the three kids came in and took a small piece each. I couldn't resist it, so I tried the cake while it was still warm and found it to be really nice and fragrant. I think pound cakes should be eaten warm in order to enjoy the true taste and fragrance of the butter and the flavour! I loved your blog! It's so cute! And this Earl grey pound cake it's so original! Thanks for dropping by. 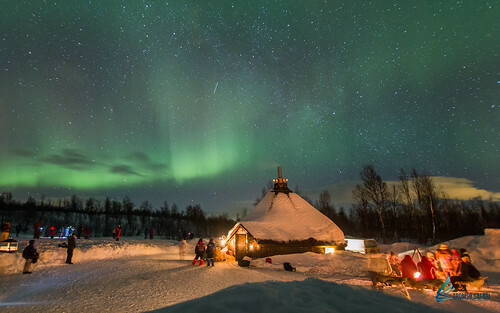 You have a great site too! Nicely baked pound cake! I agree that the pound cake must be very tasty when it still warm. I like the little dots in the pound cake, looks pretty! You're the "King of Pound Cake" !! cakes are indeed so good when fresh out from the oven! yours looks so beautiful! Haha...The title is too heavy for me to carry!! 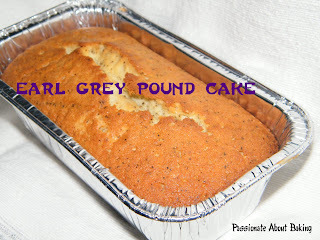 Have you started to like pound cakes too? I. Am. Drooling. I can almost smell the lovely fragrance of your cake! Hey Jane, actually I've started to like pound cake. It just that I couldn't afford to eat the whole loaf. So I still did not get a chance to make it. May be you can give me a slice hehehe..
Wah Jane! you're too generous! Two slices enough for me. You don't want me to put on weight right. Can I freeze it? hi there, my name is Eva. Be free with your mind!